A car forum sounds a strange place to get the link for here, could you post the link. Hi Shelz - its great to see you on here - glad you have joined up and said Hi! Taz - recognise the car in Shelz avatar? Looks a bit like mine lol! Shelz is a member of WJPC (Worcestershire Japanese Performance Club) which I am also a member of and thats how we met! Coincidentally we also drive JDM Honda Integra Type Rs !!! 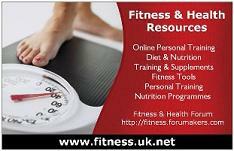 Shelz has ordered a 3 month webtrainer programme from the site so your help with her progress is appreciated mate. Shelz - really gutted mate The Teg is being sold!!! Think I told you my wife is pregnant at the mo and so we both need 5 door family hatchbacks Im currently driving round in a 106 1.1 l 5 door!! 60bhp - 137 down from the Teg but it does handle well on the twisties lol! At least you get about a 1000 miles to a full tank and my insurance was £115 for the year! Got the wife a nice Focus and will probably get a 2.0 ghia for a bit of comfort but I will miss the Teg soooooooo much! Im going to start a savings fund for the new Japanes Honda Civic Type R - the FD2, have you seen it? Anyway, please let us know how you are getting on with your program, I will email a copy of it to Taz - he is one of the moderators and a nutrition and training expert and will be able to help with any questions you have. Consider setting up a thread in the progress journals and post up your progress in there? [b]Many Thanks for the welcomes. :O selling the Teg, that is gutting news. Thats three i know now that are being sold! Still im sure you wont have a problem selling her. lol, im guna try and utilise my teg as a family car when the time comes, either that or save her for spechals and use the MG as an everyday car. Hi, Ravi, you can search on google for your desired category of forums . hope you will get plenty over there. I am also a new member here..
how are you. i am new user .. I Am new user .